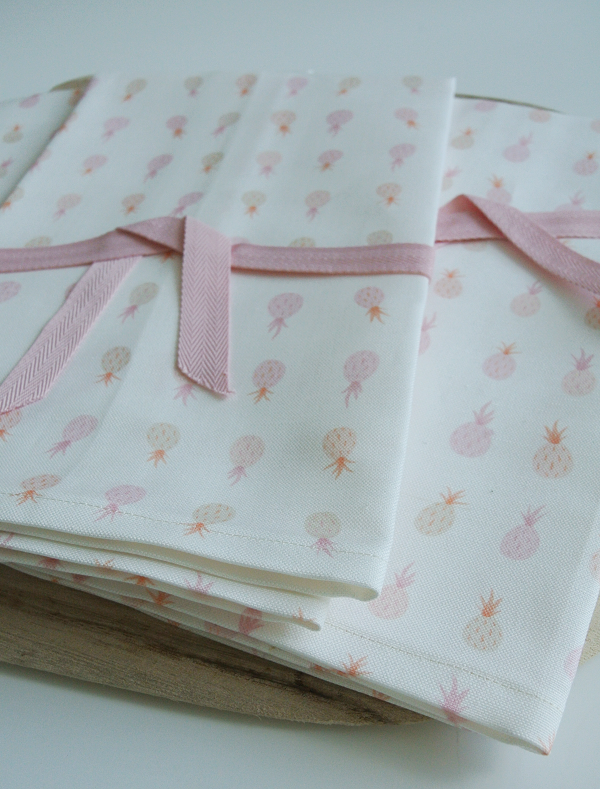 Collaboration Project — Pineapple Tea Towels! Awhile back, my mom and I decided it would be fun to work on a project together. 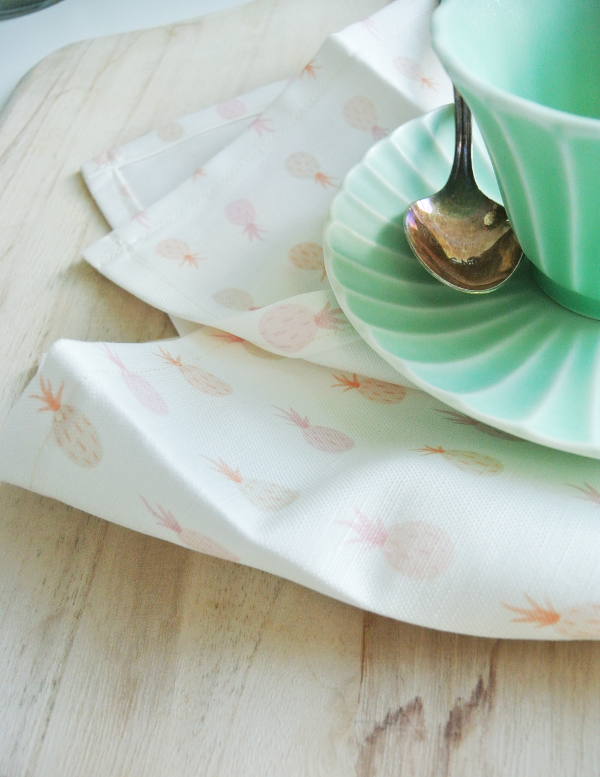 I’ve always been in awe of her brilliant sewing ability, so it made sense to team up and make something fabric-related. 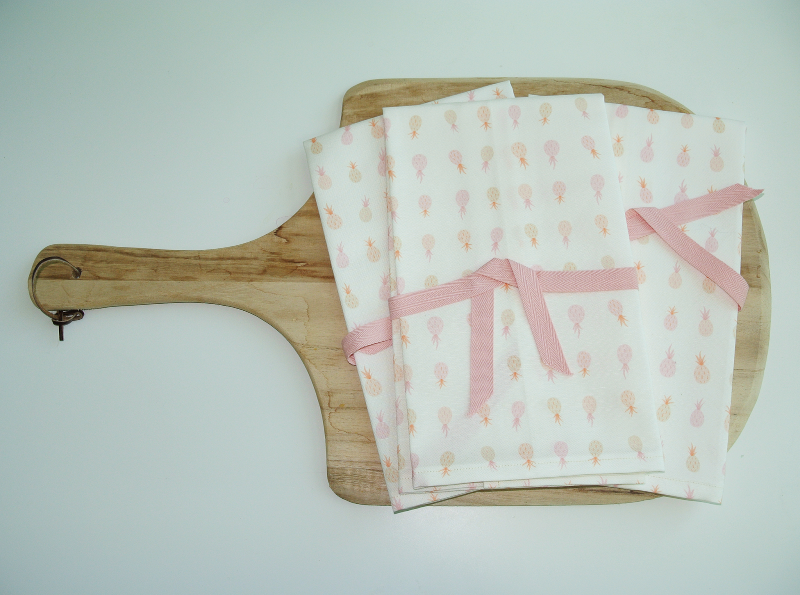 At the same time, I was also in need of some tea towels — so BAM! It all came together. We used one of my prints as the basis, had it printed on beautiful linen/cotton canvas and my mom sewed them up into legit towels. Mine is already covered in spaghetti sauce from tonight’s dinner, but we have three (clean!) others up for sale on the shop.